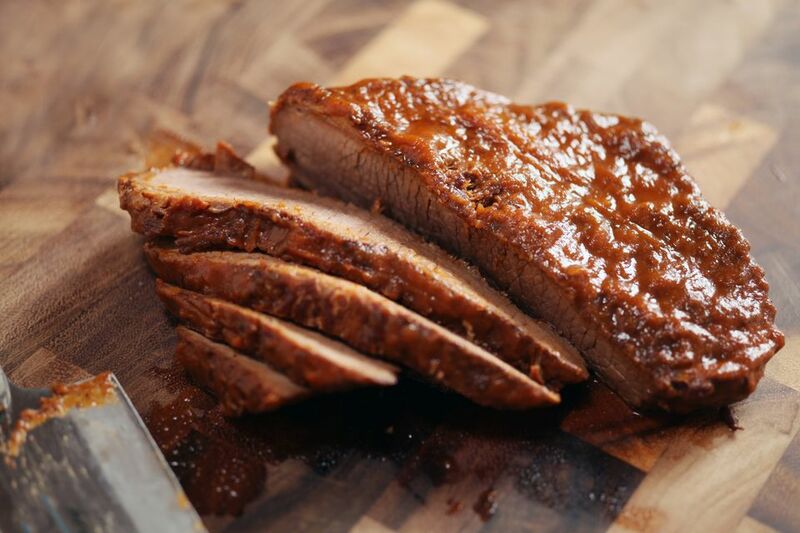 This Sweet and Sour Brisket recipe couldn't be easier -- simply marinate the meat in a virtually prep-free mixture of jarred sauerkraut, canned tomatoes, and brown sugar, and you'll be treated to a tender and delicious meat main dish that works as well for weeknight family meals as it does for Shabbat and holiday feasts. Giora Shimoni recommends preparing the brisket the day before you intend to serve it, "as the taste is enhanced after it sits in the fridge." Start with a bowl of Roasted Carrot, Apple, and Celery Soup. Serve the brisket with roasted potatoes and steamed asparagus, or garlicky Green Beans with Pecans and Date Syrup. For weeknight meals, offer cornbread; for Shabbat or holiday meals, opt for homemade Challah instead. For dessert, go with a light, fruit-based dessert, like a Cherry Crisp served with tea. Remove the brisket from the refrigerator and preheat the oven to 325 F/165 C. When the oven is hot, place the roasting pan on the center rack. Bake the brisket for approximately 3 hours, or until a digital instant-read thermometer inserted into the center of the brisket reads 190 F for well done. Remove the brisket from the oven. When it is cool enough to handle, carefully transfer the meat to a cutting board. Thinly slice the brisket against the grain. It is very important to slice the brisket correctly to ensure that the meat is tender. Transfer the meat to a platter and serve with the pan sauce. Or, if making ahead, return the sliced brisket to the roasting pan, cover, and refrigerate overnight. Reheat, covered, before serving.